Yes, so much has happened today, I feel I must recount the fabulosity. 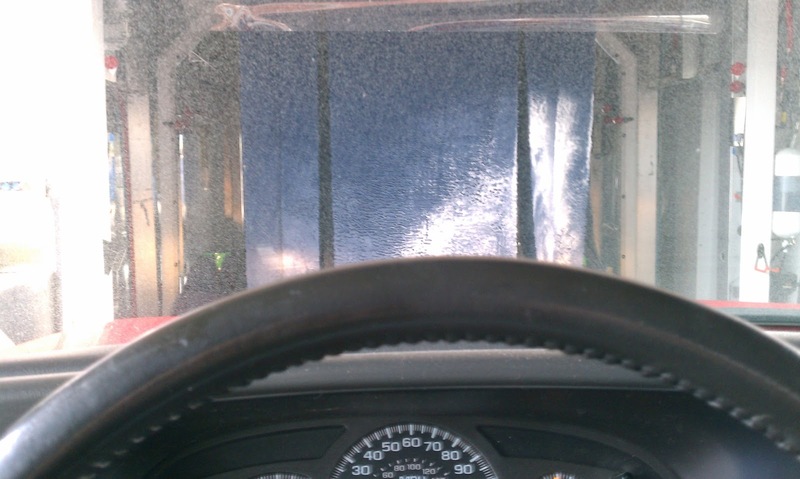 First of all, I finally got a car wash. It only took two months after I was named "Dirtiest Car in the Lot" at a baseball game and won free car wash coupons. Little Red is all shiny and pretty again. The guys with the soap mops were impressed with the amount of dirt that could accumulate on a well-loved pick-up truck. I almost didn't recognize it now that it's clean. Good thing it's overcast today, because I would have needed sunglasses to look at it otherwise. Just before the soap-mop guys started laughing at the quantity of dirt on my truck. Second of all, Lulu went to a Girl Scout program about money management. My proudest moment was when she already knew how to balance a check book, and could explain how credit cards work. She won prizes for her superior financial knowledge. Huzzah! Finally, we made it to Starbucks at Lulu's request. The only kind of coffee she likes is the pumpkin spice latte, or as she now calls it, Ermehgerd, Permpkern Sperce Lerte! For the first time, I tried the salted caramel. I have heard people raving about salted caramel for months now, but I've been hesitant to try it. Now all I have to ask is, WHAT WAS WRONG WITH ME? Salted caramel is officially my new favorite thing. While we enjoyed our beverages, we perused all the pretty new cell phones. Our contract is up soon, and Lulu and I are already debating what kind we should get. Helper Monkey will use whatever phone we get him, so he leaves it up to us to make the decision. At least we have a few months to hash out our philosophical technological differences before we have to commit. Also, still making progress on the revision/rewrite/WIP. Friday Night Write Club has helped this week. If you're on the tweeties, follow @FriNightWrites and the hash tag #WriteClub for support, encouragement, and camaraderie. Go on, I'll wait while you click over and follow them. I should check out WriteClub. Much luck on your WIP!